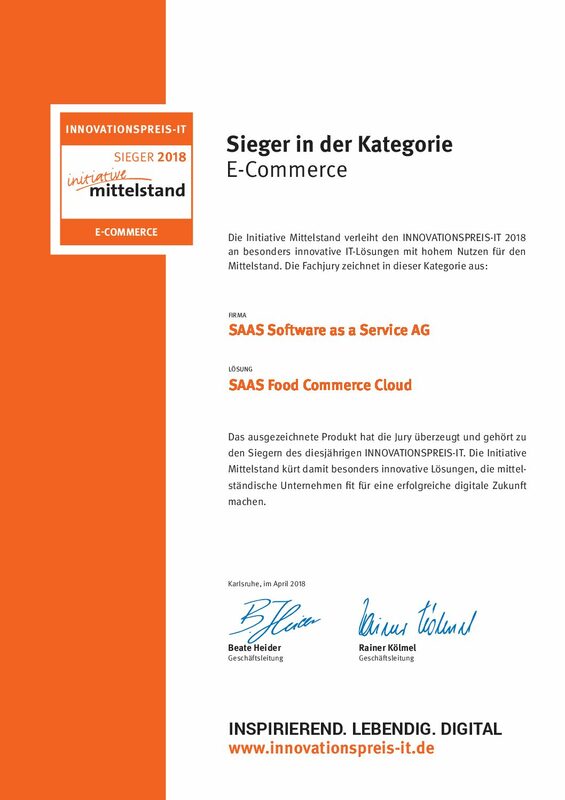 SAAS Software as a Service AG has won the IT Innovation Award in the category “E-Commerce”. The Initiative Mittelstand awards the prize to particularly innovative IT solutions with high benefits for SMEs. Our software solution “SAAS Food Commerce Cloud” for stationary food retailers convinced the jury. The highly standardized cloud solution for stationary food retailers is used, for example, by our reference company Lieferladen.de and the organic supermarket NATURGUT. With our IT solution we support the stationary supermarkets on their way into the digital future and make them fit for e-commerce.